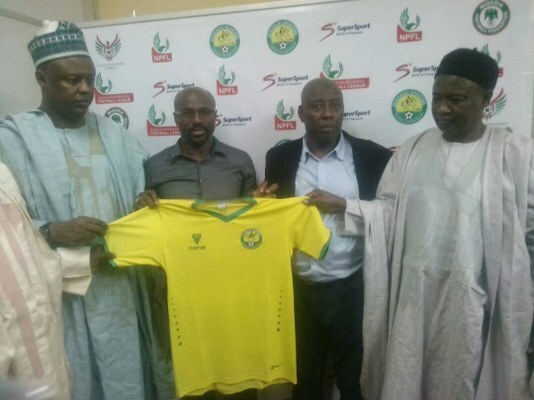 Technical Adviser of El Kanemi Warriors Imama Amapakabo says he needs at least 3years to change the fortunes of the Maiduguri-based side and make them a formidable team in the Nigeria Professional Football League (NPFL). Amapakabo – who led Rangers to the NPFL title in 2016 after a 32-year wait – has seen his El Kanemi side struggle for most part of the current campaign, placing 13th on the league table with 29 points, just one point above the dreaded relegation zone. “Expectations are relative,” the Super Eagles assistant coach told www.busybuddiesng.com. “In football it takes 3 years for you to be able to build a team. “I came into El Kanemi (Warriors) just this year, and I have to change about 95% of the playing strength of the team. So you expect that we are going to go through (this). “My joy is that everywhere we go to, everybody agrees that this team is playing wonderful football. So let’s look at this team next year and the year after. “In building a team it takes 3 years,” he reiterated. The former Enyimba coach, however, did not fail to rule out a move away from the club at the end of this season. Asked whether he will remain with the Maiduguri Warriors next season to enable him build the team, the former Sharks (now defunct) and Kano Pillars goalkeeper said: “It is left for the owners of the team. Imama Amapakabo wants to work where they pay me the money; where my service is needed. “And if they are able to meet my demands, and I’m also happy there, I will definitely stay. If not, I will look for somewhere else where I’m happy, and my bills will be paid. It’s as simple as that; it’s an old rule in the book. On resumption of the NPFL season, El Kanemi Warriors are expected to face four-time champions, Kano Pillars in Kano in a Match Day 25 fixture.